The EcoNest intensive is an accelerated learning experience in the philosophy and specialized techniques of EcoNest construction. For those desiring the efficiency of time and a discounted price, the EcoNest Intensive is a package of consecutive workshops and seminars offered by EcoNest. This is a very full and challenging hands-on training that will totally change the way you think about shelter and our impact on the planet. This package is well-suited to general contractors and owner-builders and is the core training for future EcoNest Affiliates. 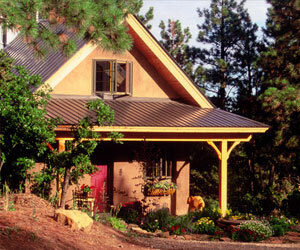 Do you dream of living in an authentic home... a legacy of beauty, health and environmental stewardship that reflects your deepest values? Perhaps you have already searched the conventional real estate offerings and realized that to truly fulfill your deepest vision you must build from scratch... a daunting challenge! This seminar will empower you to embark on your unique journey home. Prepare to be inspired as you gather with an intimate group for a deep exploration of all that home can be - a living sanctuary. For a discounted couples price, click on the "View Cart" button below, then select (1) Couples Price. Location of workshop to be announced. No other culture brings the forest element home as does the Japanese. We are proud to host Renowned Japanese Woodworker Dale Brotherton (http://www.japanesecarpentry.com). 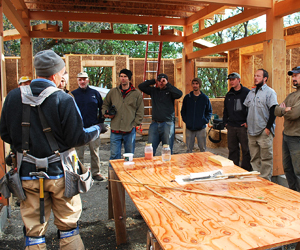 Dale, together with Robert Laporte, will lead a maximum of eight students in this rare opportunity to bring together tools, trees and tradition for an intensive woodworker’s experience.